Lessons for my wife and I. Interested in learning to dance as a couple - all different styles - nothing too complicated!! just to have fun. Husband is a natural dancer, while I am not so lucky :/ Will probably have atleast 1 other couple, maybe more. I'm looking for a fun Christmas present for my wife. Our work schedules vary week-to-week, so would like a one-day introductory class for 2-3 hours to get us started. 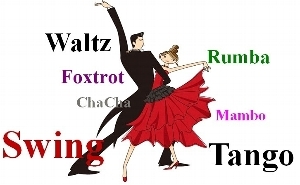 looking for introduction to ballroom dancing private lessons for 2 couples at an attractive, perhaps romantic locartion. Open to suggestions! Looking to create a special gift for Christmas. I want lessons to do something fun, and to get in shape. I would like to meet a couple nights a week, and join with friends. I want a program that is serious about dancing. I've been dancing for 9 years and now im ready to take it up a notch and have more of a challenge.